The Step Festival was an initiative of NPV Arts and the Magic Eye Theatre in South London. 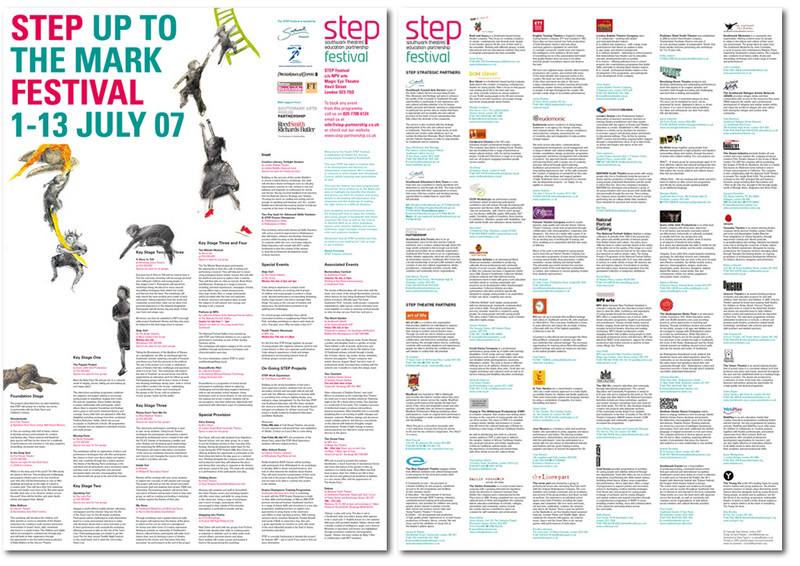 For their 2007 edition, David was invited to design the poster containing all the scheduled performances’ information as well as a profile for all participating parties. The illustrations were made by Elena Tognoli.